Yesterday I did some comparison tests between my 2x16 ZP and the new 4x8 'U-turn' ZP. I wanted to wait until the sun arc was a little lower, but we've had some recent brisk weather here so I went ahead. I didn't want to reconfigure the ducts for air flow measurements again later, and besides I'm about ready for some solar heat. So - with matched air flow, the 2x16 out-performed the 4x8 by about 3%, at least going by the test results. Not sure how reliable these results are, since I didn't actually test the two collectors 'side by side', but rather sequentially. This was because I only have one set of infrastructure to support the collector. The sun angles and ambient temperature both changed between 1100 and 1230; also the breeze picked up some around 1200, then partially slowed again during the last test at 1230. I have found that wind blowing across the collector drops performance a bit, so there is some uncertainty there. Pretty soon after 1230, it got really windy, much colder and clouded up. I got done just in time. 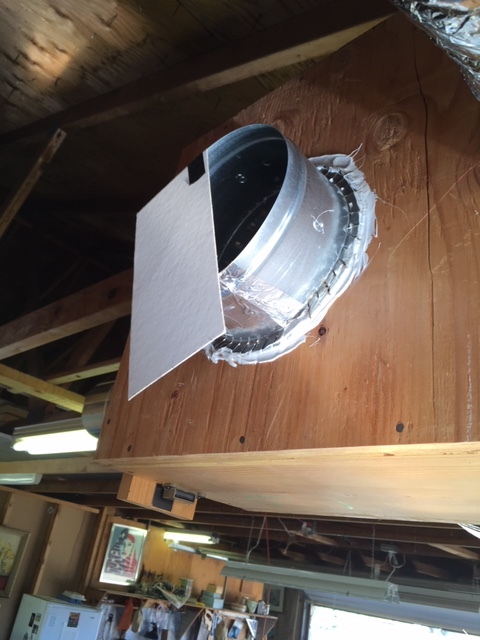 The air flow path went from the filter box on the intake (before the fan), with the output duct terminated in the back room with a 3 ft. straight section with a cross-vane in the end. This is the same setup I used for previous air flow tests. Connecting/disconnecting the 2x16 is a lot easier now that I have a permanent 15 ft. section of rigid duct. I just connected the short flex piece at the end to complete the input run. For the 2x16 test, I completely removed the covers/reflectors, since I don't really like how they sit (or look) in reflector mode. I still think reflectors are a good idea, but the ones I made (as an experiment) need a better mounting frame and reflective surface. All temperature measurements were made with a thermocouple inserted through a very small hole in the duct stubs on the back of the collectors. I measured air flow with a Kestrel 1000, same as before. The 3% difference may well be within the margin of uncertainty, given my crude methods. Overall I would judge these 2 designs roughly equivalent, with a possible slight edge to the straight-through 2x16. One factor could be the increased 'framing factor' in the 4x8. It has a center divider, and the screen frames are made from 1x2 (2x16 used aluminum window screen frames), so more of the aperture is taken up with structural elements. It was cold this morning, so I put the 4x8 on line to check it out. Heat feels nice, and it has only a very faint 'woody' smell. I aired it out quite a bit over the summer. I'm also still evaluating the use of my PV system with almost-dead batteries to power the fan. I want to see how it handles partly cloudy conditions, although in general I am not totally sold on the idea. Problem is that the PV is mounted at 40 degrees tilt, so it could still be covered with snow at a time when it needs to be available. I think a dedicated PV source for an air heater should be mounted vertically or near vertically to prevent this. Even if I go back to grid power, the PV is still there if we get a power outage. Very interesting...thanks for sharing! I think the 2x16 performance numbers are good for a day like today. We had clouds all day here in PA, so my work has been held up to decide where to locate the controller sensor....that's right, I broke down and bought a cheap controller. I think the difference between your two units is minimal...I guess it could vary from day to day. 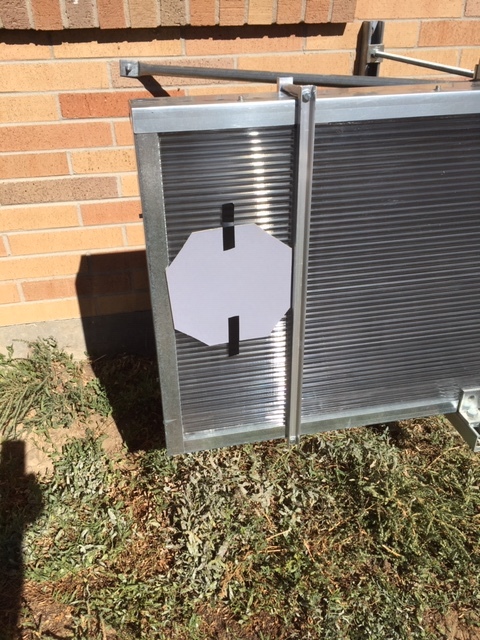 I think it is interesting that the airflow rate has to be reduced to match the inline, but that might be because your construction skills are so good on your second project. The best part of your post is "It was cold this morning, so I put the 4x8 on line to check it out. Heat feels nice, and it has only a very faint 'woody' smell. LOL...THAT is all we can hope for with our projects! Bruce - I think the 4x8 had higher air flow mainly because it has much shorter outside ducts than the 2x16, especially for the input. This highlights another deficiency in my test procedure, which is that I didn't really test airflow for the collectors themselves, but rather for the complete circuit in which they normally operate. I admit, this makes the data somewhat more useful to me than to the group generally. 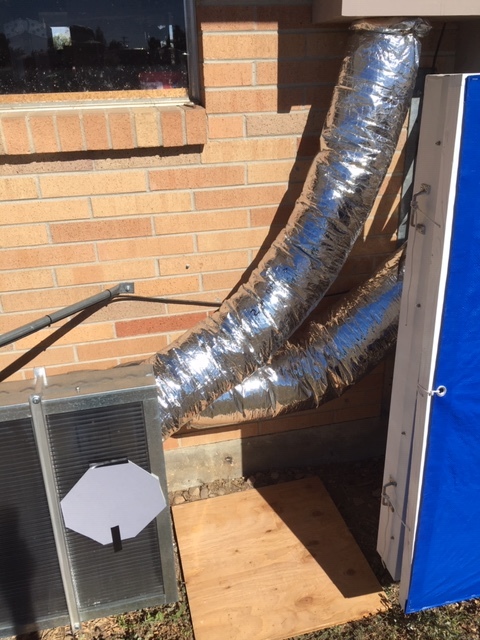 It would be better to have a separate fan and set of ducts just for testing; that way you could minimize that variable by using the same setup for each collector. I looked at doing that, but I didn't want to dismantle the semi-permanent part of my air system and then have to put it all back together again (the fan is a pain to install and connect, and I'm slowly chewing up the ends of my flex sections by connecting/disconnecting). I didn't want to buy another fan right now either. So I admit to being sort of lazy and cheap (sorry). If I find a good deal on a fan, or if a good enough reason comes up to get another one, I will repeat the comparison under more controlled conditions. I'm a little curious myself; the 4x8 advantage would likely evaporate without the duct-length handicap. I think the temp rise measurements are still valid, since they were made right at the collectors. Ambient temp increased 7 degrees during the test; don't know if that was significant. Also - the final 4x8 test with the flow rate damped down to 10.6 MPH should have cancelled out the shorter duct length. I did make an effort during construction to minimize any choke points inside the 4x8 by making the turnaround section the same width as the straight sections, and by including curved sections at the corners and sheet metal 'ramps' to bridge the transitions between the screen frames. The 2x16 has it's own restriction, namely the slots where the 2 halves meet. One future project on my 'wish list' is a one-piece 2x16. Pretty sure I could make that light enough to pick up and carry around. Just need a big enough covered work area.